I didn't expect to find a California burrito in Washington, but that's exactly what I found (and a lot more) at El Balcon. 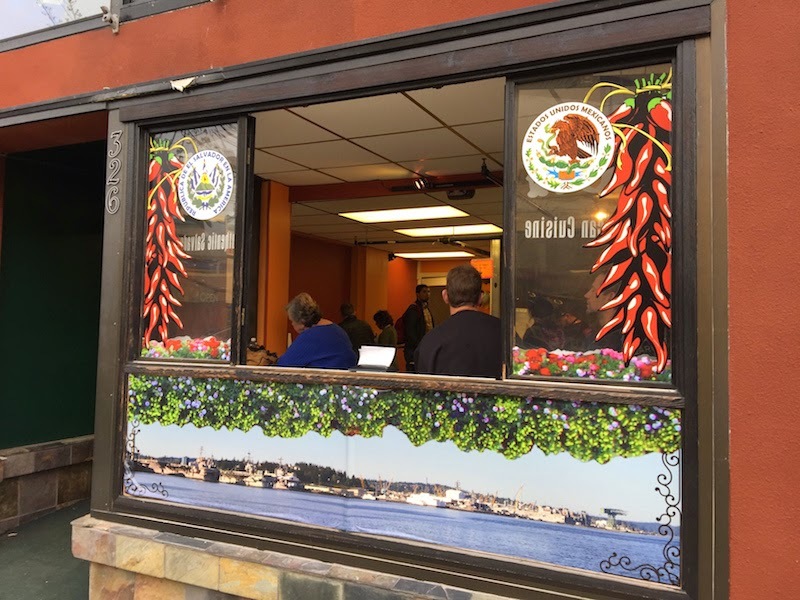 Located in Bremerton, Washington (near Seattle and Tacoma), El Balcon serves a large menu of Salvadorian and Mexican dishes. 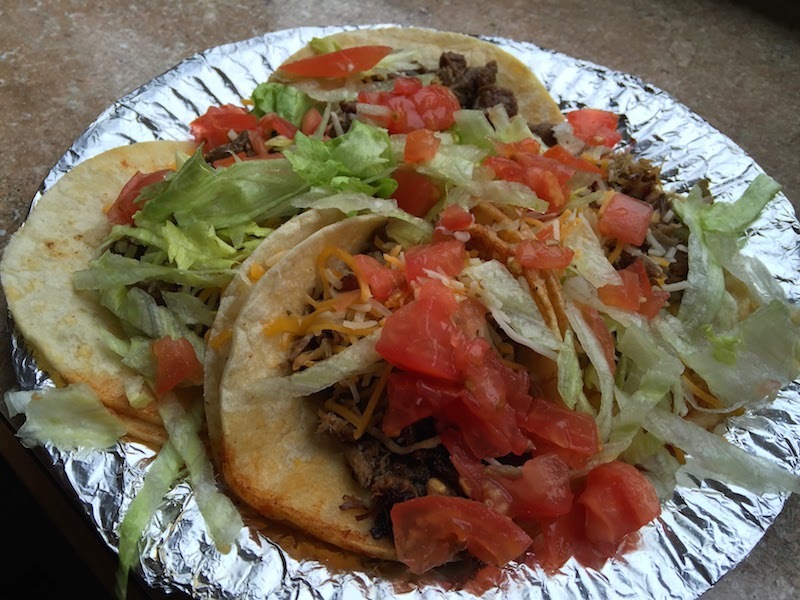 Read my review of El Balcon Salvadorian and Mexican restaurant after the break. My first experience of a California burrito was at Juanita's Taco Shop in Encinitas near San Diego. A California burrito is basically a carne asada burrito with french fries replacing the rice and beans, and it's surprisingly tasty. So when I saw it on the menu at El Balcon, I had to try it. And I'm glad that I did! It was delicious, and also very large. 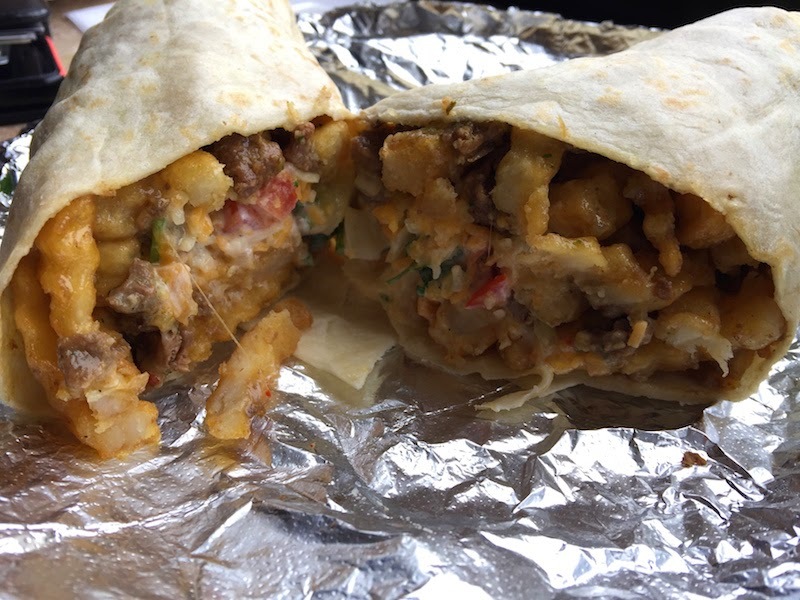 El Balcon uses crinkle-cut garlic fries to kick it up from a regular California burrito. And it's really big. This was a great burrito! 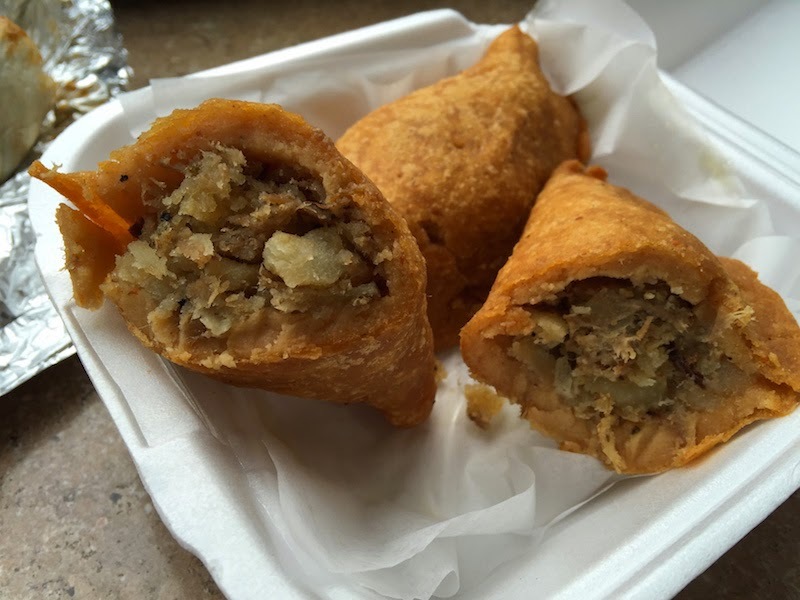 I noticed an item on the menu I had never seen before called pastelitos, which are fried corn puffs stuffed with pork, sort of like an empanada. These were served hot and they were delicious. El Balcon has daily specials. We arrived on Tuesday and enjoyed (what else?) Taco Tuesday. You can get any four tacos so we had two asada and two pork. 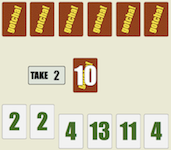 TIP: El Balcon isn't very big, so plan on taking your order to go.